Pharmacies across Tayside are now able to offer treatment for certain conditions without the need to make a GP appointment. Females aged 16 - 65 years presenting with 3 or more of the following symptoms, or if both dysuria and frequency are present. Impetigo can be treated using Fusidic Acid 2% under the following conditions. Contact your local pharmacy for more information. Comrie Medical Centre is now issuing text reminders for appointments to patients who have registered their mobile phone numbers. This means that a text reminder will be issued 24 hours prior to an appointment at the Medical Centre. Please complete one of our forms at Reception to ensure the Practice has your up-to-date mobile phone number, allowing us to provide this useful service. Many thanks. Fitting new batteries and tubing (we are unable to re-tube OPEN FIT aids). Caring for and getting used to your hearing aids. The different services that can help you. Information on equipment that can help you. On-hand help and support from different services. It has come to our attention that a few patients have been contacted by someone advising that they require to purchase a Blood Pressure Monitor at a cost of £99, payable in monthly instalments. We are not aware of any offer from the NHS from or on behalf of NHS Tayside. Do you have any used postage stamps at home? We are collecting stamps to raise money for donkey sanctuaries. Please hand them into Reception or pop into the box in the waiting area. Thank you kindly. May we remind our patients that GP appointments are 10 minutes long. If you have more than one problem or would like a longer discussion then please let us know when making your appointment. If you require urgent attention during this time please dial 111. We look after patients in a wide geographical area, including Balquhidder, Strathyre, Lochearnhead, St. Fillans and Crieff as well as the village of Comrie and the surrounding glens. The Practice is a long established one. Initially it was a single-handed practice based in a doctor’s house, but we now have 3 part-time GPs and a dedicated and enthusiastic team of practice and community staff working from a modern purpose-built medical centre – which has a lovely aquarium in the waiting area! We are strongly committed to training and regularly take medical and nursing students on attachment. 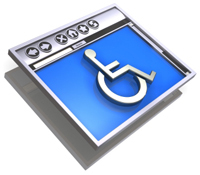 The Medical Centre has suitable access for disabled patients and all the patient areas have wheelchair access. A wheelchair is also available, please ask at Reception.